Beat This Caption Contest 107 Winner – Caption Contest Funny Clever Witty Enter Today! …She was hidden in my beard! 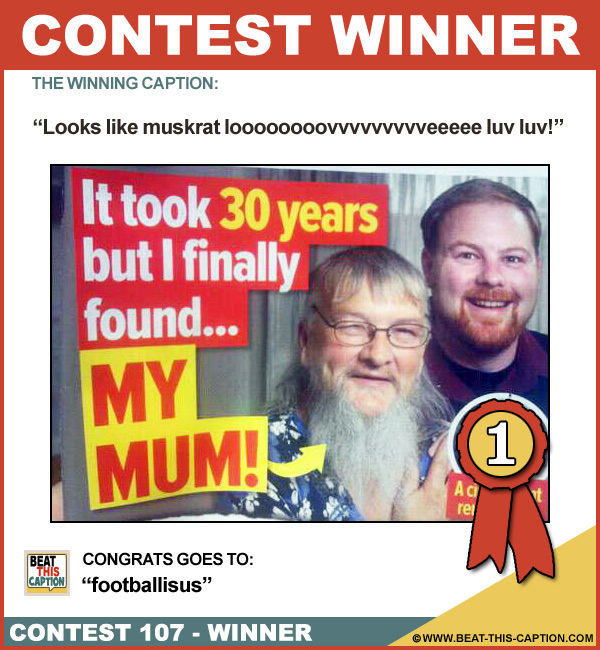 Looks like muskrat loooooooovvvvvvvvveeeee luv luv!! It’s music to my hairy ears… Funny Caption! :) You WwwwwwIN! When I last saw her she just had a goatee! Beard? This is five-o’clock shadow, dear! Now I know why my jewels are so hairy! …she played the darndest game of hide and seek!